Cami NYC "The Chantry" silk cami with lace-trimmed neckline. Plunge v-neckline; crisscross back. 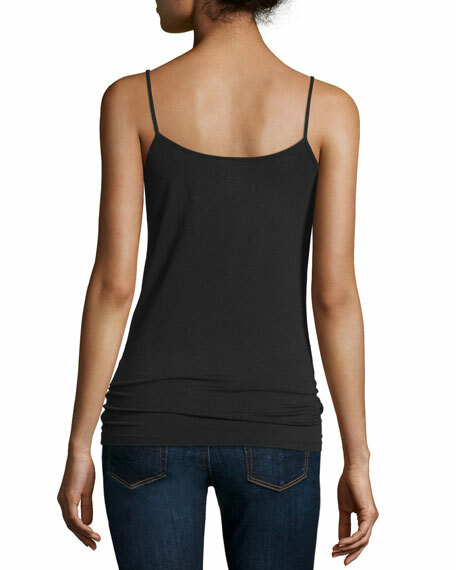 Sleeveless; thin straps adjust. Semi-fitted. Side slits. Cami NYC "The Chelsea" textured cloqu?? cami with lace trim. V neckline. Sleeveless. Relaxed fit. Side splits. Slipover style. Silk/rayon; viscose lining. Nylon trim. Imported.